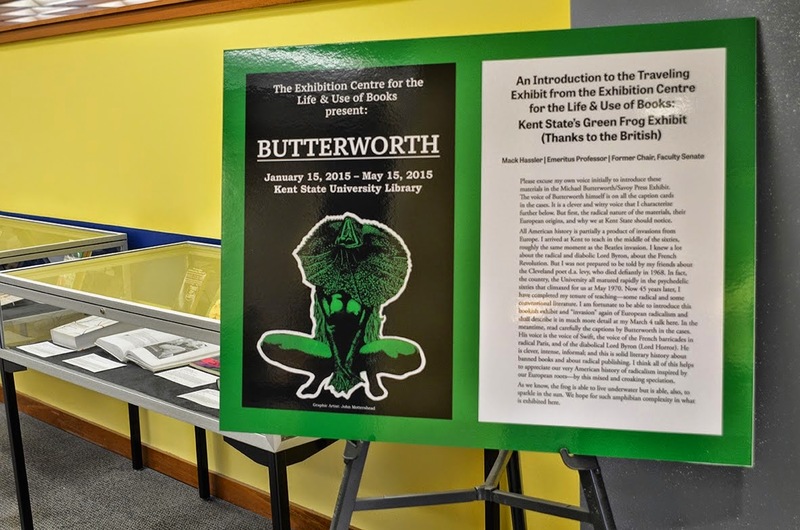 Michael Butterworth's exhibition of books from his publishing company, Savoy Press, has made its way to America, specifically, to Kent State University - as can be seen at Carter Kaplan's blog. Butterworth - as many will recall - wrote the brilliant if melancholy story "Das Neue Leben" ("The New Life"), a dark tale of Hitler's survival and his obscure retreat somewhere in the nearly impenetrable Amazon jungle, accompanied by a 'manservant' and an enormous serpent. Privately, Butterworth told me that he had initially intended to write a novel - but stopped at a short story! The result is so good, I assured him, that he should return to his original aim and write the novel. Incidentally, despite the title, "Das Neue Leben," the story is told in English, not German . . .